June Fabrics Technology is the company behind PDAnet. Obviously, their app was not able to meet the requirements of the App Store so they ended up going the Cydia route. PDAnet is the easiest method to tether your data plan on your iPhone 3G. Let’s take a look on how to setup PDAnet for your iPhone! Here are the steps I followed to configure my Windows XP notebook to work with PDAnet. 1. 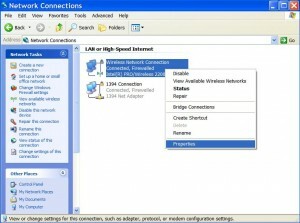 Create an ad-hoc network on your computer. 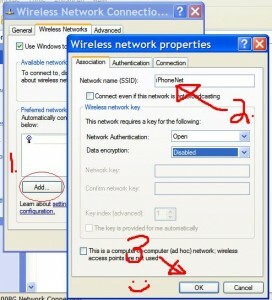 Go to Control Panel–>Network Connections–>right click on Wireless Network Connection–>go to Properties–>click on the Wireless Networks tab at the top–>under preferred networks click ADD–>name the SSID “iPhoneNet” (or any other name)–>disable WEP or type in a key–>click OK, close the settings. 2. Grab your iPhone. Go to Settings–>WiFi (you should see “iPhoneNet” in your list)–>connect to iPhoneNet–>You iPhone should connect to iPhoneNet. Still with me? 3. Click the home button, and then launch PDAnet (download via Cydia) on your iPhone. Ensure WiFi Router option is ON. I would say these speeds are pretty darn good on 3G considering my internet at home is just under 5mbps down and 500kbps up. Click on the Airport icon at the top of the screen. Select Create Network, give it a name such as “iPhoneNet”. Now on your iPhone go to Settings->WiFi and “iPhoneNet” should show up in the list. Tap on it and your computer should go online. Right click on the network tray icon at the bottom of the screen. 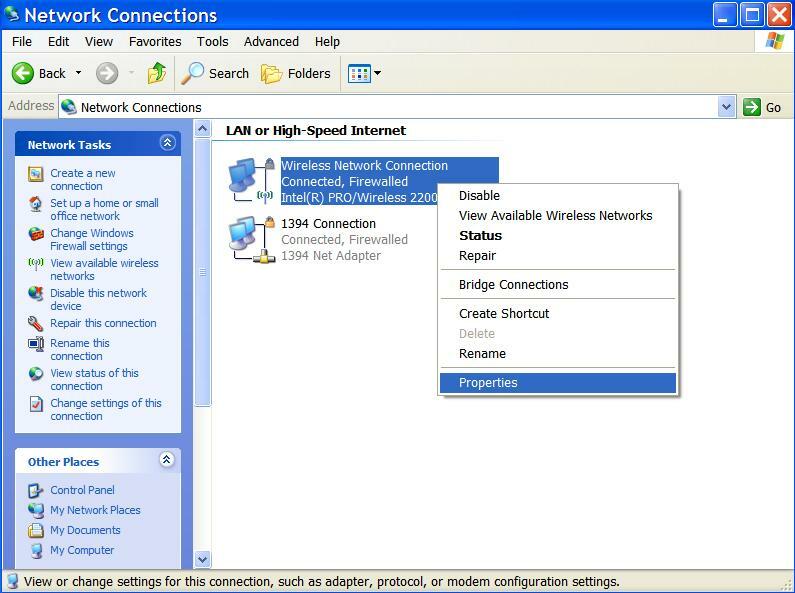 Select “Connect to a network”, then “Set up a connection or network”. Select “Set up a wireless ad hoc network and “Next”, then enter a Network name such as “iPhoneNet”. Also check “Save this network”. Unlike other cellphone carriers, Rogers is allowing customers to “tether” their smartphones, or connect them to a computer and use them as a modem. If you have some solid information, please share it with the rest of us. The Rogers website does not have any concrete information on tethering. PDAnet’s connection is run through a proxy so that should mask you from Rogers. However, if Rogers does indeed find out and bill you $1,000,000 for excess data usage, we are not responsible! -PDAnet will use A LOT of battery, so make sure you have your iPhone plugged in (or get a Richard Solo battery back up). Some users have reported that even plugged in, PDAnet will eat lots of battery regardless. I’d love to hear how PDAnet has worked out for you! Let us know in the comments!